I recently stumbled upon this article “Obesity is not an issue” - why the Indian government is courting foreign junk-food makers. Before proceeding further, do take a few minutes to read it. 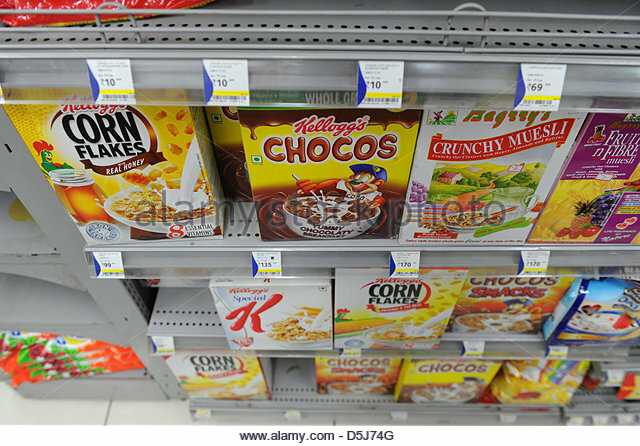 As more and more junk foods enter the supermarket shelves, it is all the more important to be cautious and aware of the ingredients and not succumb to the hype of "Brand XYZ coming to India”. The 2016 report "Food labelling, Claims and Advertisements” published by “Centre for Science and Environment” highlights many important details and practices on packaged food regulations that are currently followed in India and how they are far behind as compared to other countries. Again, an extremely well-researched report. Do take the time to read it as well. Here are some notes that I have jotted down for my reference. The Indian food labelling laws do not require labelling of salt/sodium. One pack of Nestle’s Maggi noodles (70 g) has over 37 per cent of the RDA of salt. Brands like Lays, Saffola Masala Oats, Quaker Oats Masala, SunFeast Yippee Noodles do not mention the amount of sodium in their labelling. on the quantity of nutrient in a pack and in a portion one typically consumes. Front-of-Pack (FoP) labels are aimed to limit the intake of one or more of salt/sodium, sugar, fat, saturated fat. They are indicated as traffic light, color-coded labels, warning, health star rating or symbols that are easy and quick to understand. There is no formal FoP labelling adopted in India. Nutrition labelling of menus in chain restaurants with 20+ outlets is mandatory in many countries. In India, there is no list of approved or non-approved health claims. There is no mention of the need for an approval process, the approval process, or the kind of scientific substantiation required. There is malpractice because weak regulations. For example, the claim made by Bournvita lil champs, i.e. ‘Contains DHA known for brain development’ falls under the category of unacceptable health claims in Canada. There is no approval process for claims in food advertisements. The issue of delay in evaluation of any complaint and the decision by the Advertising Standards Council of India (ASCI) leaves a lot of room for the intended outcome of the food marketing campaign, which is anyway designed for a limited duration. Many countries (Norway, Sweden, UK etc) have banned or restricted advertising of unhealthy food and beverages targeted at children under the age of 12 during and before children’s programmes. WHO's 2016 report on “Tackling food marketing to children in a digital world” states that Government should acknowledge the duty of protecting children from digital marketing of foods high in fats, salt or sugar through statutory regulation. The recommendations proposed in the report seem to be well-thought through, but it will take atleast a few years for it to get implemented, IF (and that’s a big IF) they get approved by the concerned authorities. From a consumer perspective, it is imperative that we read the packaging information - ingredients, nutrition information and promoted health-related claims. Let’s not blindly believe “high in iron”, “fortified with Vitamins”, “DHA for brain development" etc. I recently heard from an elderly person with diabetes and acute anaemia that she is drinking a particular variant of Tropicana because the packaging states “high in iron”. That’s sadly the state of affairs with most people, who are well educated but blindly trust such tall claims.